Weekend Cooking…Er…Weekday Blending – my books. my life. 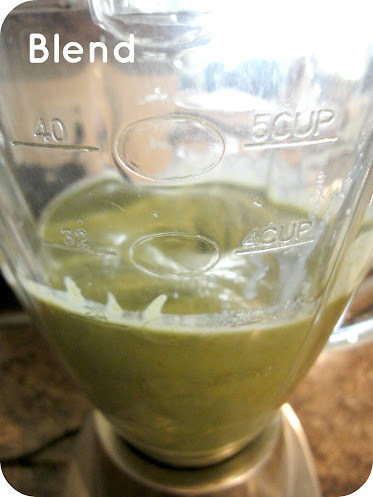 While playing on Pinterest one day, I came across this smoothie recipe. Since iron is one of the things I’ve been struggling to add into my diet and since spinach has plenty of iron, I figured I’d give it a shot. Turns out it is DELICIOUS. Seriously. Don’t be put off by the green. 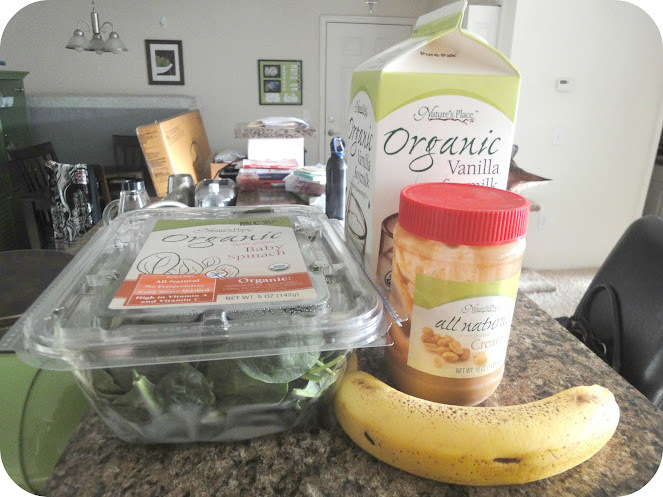 You can’t taste the spinach – it’s just a yummy peanut butter and banana smoothie. And it’s super easy to make. Even I, the one who sleeps until the last possible second in the morning, have time to make it. And I make it almost every day now. Here is the simple step-by-step. The original recipe calls for a frozen banana. 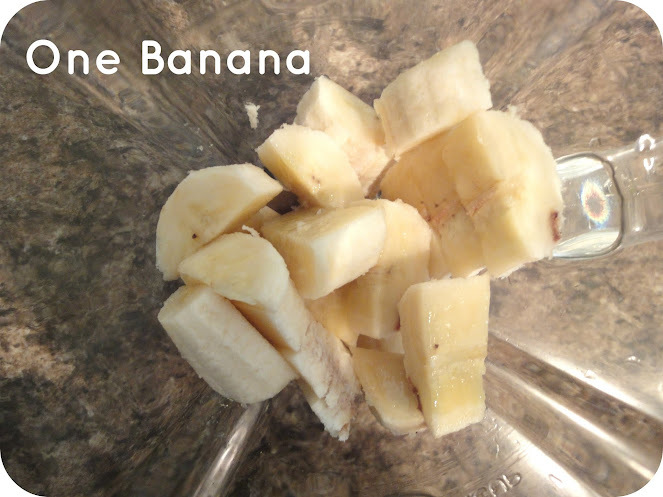 I use a fresh banana and throw in a handful of ice cubes. I use vanilla soymilk. I am sure you can use regular milk. Clearly I am being scientific here. I have given you your new favorite breakfast. You’re welcome. 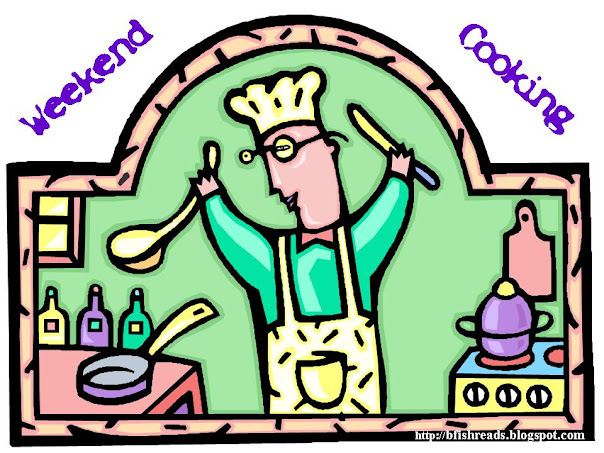 Go check out the other Weekend Cooking posts over at Beth Fish Reads. Oh you were talking about this last weekend! I have ISSUES with green things…not even sure if I’d eat green chocolate. But if you can’t taste it…and it is good for you…I might try it just once. Lord knows I need more spinach in my diet. This actually does sound good. And a great way to get a healthy breakfast and fast. I broke my blender a few years ago and haven’t replaced it. I guess I should see about getting a new one. 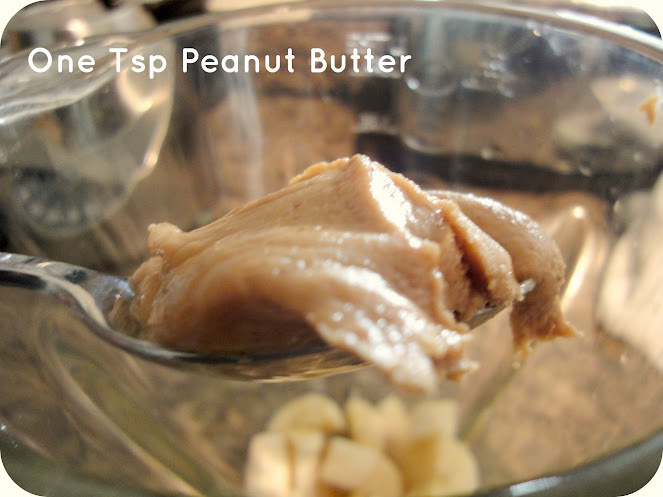 I’ve made this a few times too, but instead of peanut butter, I use strawberries. I’ve never had a peanut butter banana smoothie and to be honest, it sounds weird. I like the idea of fruit flavors better. I think anything would go with the spinach though, since you can’t taste it! 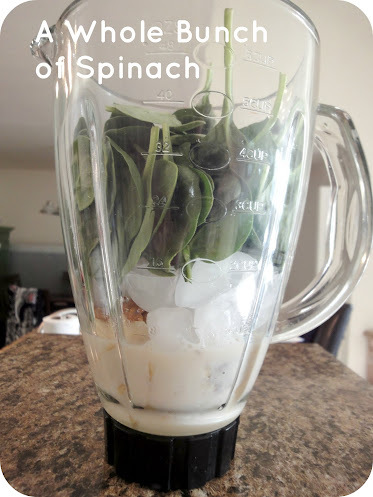 I used to make breakfast smoothies all the time, but never thought to add spinach! That sounds nutrient rich, but I need to get over drinking something green :D.
The color puts me off a little… don’t usually ‘drink green’. Just got my daughter a small blender for her dorm room as a b-day present. Will show her your post. NOt sure I would like the mix, I can’t imagine what it tastes like (really, you don’t taste the spinach? ), but I sure love your pictures. 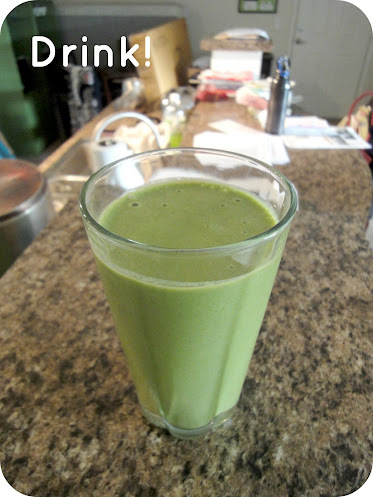 I’ve gotten out of the smoothie habit, but I used to routinely toss a handful of spinach into just about any smoothie I made. As long as the fruit had a lot of flavor, I could never taste it, and I figured the extra green stuff couldn’t hurt. 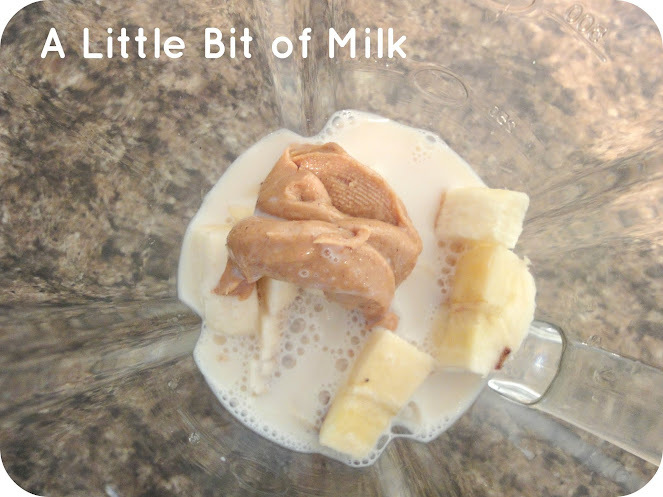 This looks really yummy–I love peanut butter and banana together, but I never thought to combine them in smoothie form. I am not a big peanut butter fan, but I do like the idea of banana and strawberry. Would have to be brave to try and add spinach though! I’m dusting off my blender right now! Thanks for this yummy breakfast idea. Your photo steps are very helpful. Oh thanks for this recipe! I’ve just started trying to do a smoothie each day and I’m tired of the same old one! Brilliant! I totally have issues with time for food before work too. I think I’ll try this!